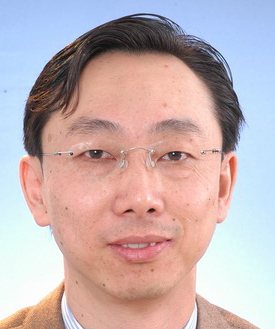 Zhang Tao received his Ph.D. in international economics from UC Santa Cruz in 1995. China’s State Council appointed Zhang Tao, who received his masters and Ph.D. degrees from UCSC, as deputy governor of the People’s Bank of China. If he replaces Zhu Min, a current IMF deputy managing director (and previous People's Bank deputy governor), in July, as is believed, Zhang will become the second Chinese national to hold a senior position at the Washington, D.C.-based international organization. “I am not surprised he has done well in his career, and I am delighted to hear the news about him,” Singh said. Before this most recent appointment, Zhang served as director general of the Legal Affairs Department at the People's Bank of China beginning in January 2015. He was an executive director at the IMF from September 2011 to 2014. Before joining the People’s Bank in 2004, he held positions at the World Bank and the Asian Development Bank as a senior economist. Zhang graduated from Tsinghua University in Beijing before enrolling at UC Santa Cruz.